What is this, you ask? It’s a new addition to Tonya Roberts Photography – for a limited time that is! 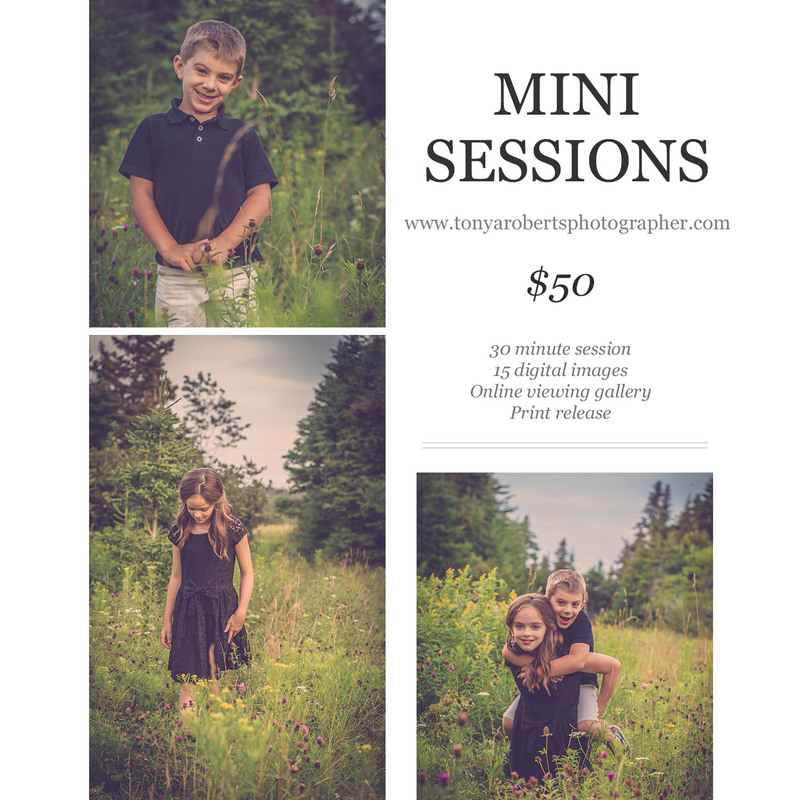 Starting today, September 15 and running until December 15, 2015, I will be offering a mini session portrait option! They will be treated with the same process as standard portrait sessions with the exception of your session fee being due upon booking. Send along a message with any questions you may have. You can contact me through the contact tab at the top of this page, through Facebook (Tonya Roberts Photographer) and don’t forget you can follow along on Instagram (tonyar2012).